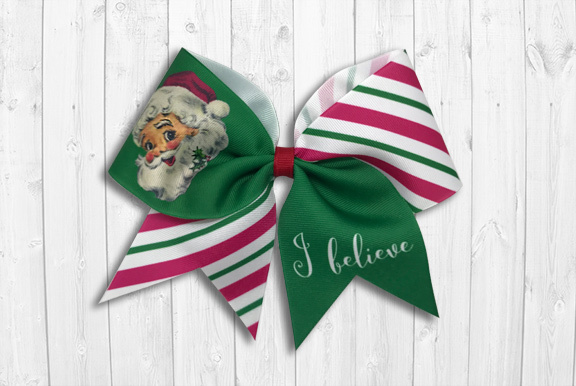 Vintage Santa Claus “I Believe” Christmas cheer bow. 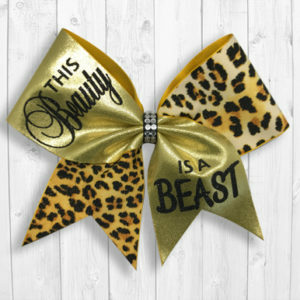 Cheer bow printed on white 3-inch grosgrain ribbon. Vintage Santa Claus graphic on left loop and “I believe” lettering on right tail. 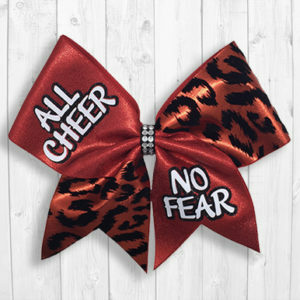 Red ribbon bow center. 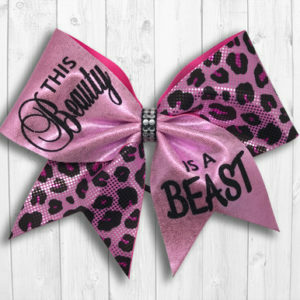 Black elastic ponytail holder securely fixed to the back. 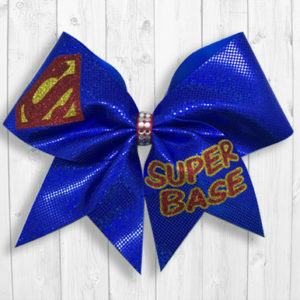 Bow is approximately 7 inches wide at the top.